The Cambridge Dancers' Club is a non-profit town & gown society. In addition to serving students in the region (from Cambridge University but also Anglia Ruskin, Cambridge Regional College and the Open University), our classes and practices are open for other adult members of the local population who want to dance - and we even have a few non-resident members. If you want to dance with us, make sure you check: what's on the timetable, where the relevant venue is and that you've brought enough money for the class or practice fee (and also remembered to bring your club membership card if you want the member rate - otherwise registration can be done at the class itself). As well as formal classes (fee payable per class), we also run some dancesport practice sessions (subscription payable in advance), some free social practices and the occasional big ball or tea-dance event. Dancing is the best exercise for body and mind (NHS, WebMD, etc ). So why not try it for yourself? We offer a range of dance styles in our club (for a wide variety of members!) but, even if we don't have anything which interests you, there are plenty more options around. This Easter/exam term, please pay careful attention to the various bank holiday and election days which force us to cancel classes at particular venues or with some teachers. The best advice for new ballroom & latin beginners this term is to attend both the Tuesday and Thursday sessions (or Saturdays) rather than just relying on Thursdays. On Saturday 27th April and Sunday 28th April, the CUDT will be holding some special pre-varsity dancesport training sessions with the team coaches out at the University Sports Centre - mostly in the main Sports Hall. The price is £7 per day or £10 for both days. If you want to be included in the Varsity open events on 4th May (or the Liger Cup trip to London on 11th May) then get in touch with Daphne (CUDT's comp.sec.). At our classes (timetable and general information), beginners are people who have not covered that particular style before and are in their first term of trying to learn it. Improvers classes are for those who finished a beginners course (ie most of the 7 to 9 weeks of a term) and are ready to progress further. People then typically remain at improvers level for a couple of terms (or even longer). Sometimes we have a New Improvers class for people only just leaving beginners and/or an Easy Intermediates class for people only just moving up from improvers. Intermediates is for anyone who has danced a given style seriously for a year or more. Advanced dancers mostly seek private coaching rather than group classes. There are also occasional specialist workshops, eg at dancesport training camp weekends. Revision notes are available for a few of our classes, including the basic figures featured in most beginners classes. If you've danced before, these may help you work out what level of class is suitable for you - ie if you recognise the names of some of the figures and already know how to do them. This page also includes some examples of music suitable for the various dance styles, so that you can practise away from classes. Our General Dancing sessions on Friday evenings, from 8:30pm to 10:30pm in the Main Dining Hall of the University Centre (grad.pad), are intended to be for everyone to practise dancing together in a friendly social environment. It's completely free to attend GD, whether you want to dance or merely to watch. You don't need a fixed practice partner and you don't even need CDC membership. Eg some ex-members return from time to time and people also bring visitors and family along - including children. This weekly event is not as formal as a ball or even a tea dance. Most people wear very casual clothes; but a few do prefer to dress up a little - or simply come as they are from other events. Sometimes there's a special seasonal theme to the music with matching decorations etc and the option of wearing appropriate fancy-dress costume for a more party-like atmosphere. It's not a class and normally there's no official tuition at these social events (ie any teachers present are usually just there to have fun themselves) but there are typically several experienced dancers around who are willing to show beginners (or improvers) a few steps. Although you'll obviously gain far more benefit by attending proper classes too! You can try dancing with different people during the evening or stick with your one special partner as you wish. So do come along and introduce yourself to the regulars. During normal term-time, the first half hour will concentrate on beginners dances (pairs of waltz, quickstep, cha-cha and jive tracks with some rumba and social foxtrot) to allow new students to start to integrate fully in the social side of the club and/or practise their routines outside the class situation. However, GD also continues outside academic term times into the holidays - apart from national holidays when the building itself is closed or when booked by rival events. These practices are for people who already know what they want to practise as there is normally no formal dance tuition provided. You do not have to be on the competitive team to attend these sessions (although Tuesday sessions during term time will typically be dominated by CUDT members). A singleton practice attendance fee is £5 but you can bulk buy a set of practices at a cheaper rate. The DS practice subscription price for Easter Term 2019 will be £15 for just the first 3 weeks of intensive practices and a further £10 for the remaining 5 weeks of Tuesdays. Note that these are the rates for *members* of the Cambridge Dancers' Club because practices are typically subsidised somewhat by the rest of the club's funds, to ensure that students can afford the necessary practice space, and also because we want people to register and agree to the health and safety rules for insurance purposes. If you don't have a valid club membership for the relevant academic year, then you should be able to purchase one from committee members at the venue. Music will be played as appropriate during the sessions - typically favouring latin american in the smaller venues and modern ballroom in the larger ones. That doesn't mean you can't practise different dances at a particular session. You just need to be considerate of other users of the space. Any RnR (or salsa!) people attending a public practice may prefer to bring their own tracks and co-ordinate with the organiser-for-the-evening for these to be played when they want a complete run-through of a dance. Many people these days wear headphones to have their own music. Emergency DS practice sessions are also running alongside some of the quieter classes where there is expected to be spare space available on a large dance floor. These are usable by club members only at £1 per session (separate from normal practice subs). Please try not to disrupt the ongoing classes if you do need to use these sessions to practise but you can still ask for the occasional run-through of a dance you've been rehearsing. The CDC as a whole does not arrange private lessons for people. Those teachers who are willing to have their details made public are included on our links page (and, if you already attend CDC lessons, you may approach them there too). However, if you are already on the DanceSport teams or are hoping to be selected, you may be able to arrange for a private lesson with one of the team coaches. Contact the CUDT Secretary to book a specific time slot. Non-team people should contact the new CDC competitive group to find out if there are any spare private lesson slots available with the coaches. The Cambridge Dancers' Club is a non-profit, combined town & gown, community organisation run by unpaid volunteers - ie those people you see everywhere helping out at classes. To keep costs down as far as possible for all our club members, only the professional teachers and venues we hire get paid (beyond absolutely essential expenses such as some printing costs and performance licence fees!). This means we really do need your help to keep the club going - especially as we have a high turnover among the student volunteers. If you regularly attend more than one class per week and are committed to dancing, you might want to consider joining the CDC committee. Email the club or ask any door-duty person what this involves. There are a few perks, such as cheaper classes, too. This is obviously particularly relevant to people who attend more than one class per week (from the financial point of view alone!) and for those who want to improve their dancing, learn more things and progress more quickly (as you'll be exposed to more styles, more figures/steps and probably try out both roles). If you're a student in the Cambridge area who might be eligible to compete for Cambridge, or if you'd simply like to try the competitive side of dancing for fun, then come along to our DanceSport classes. Students who have not had formal lessons in ballroom and latin before can join the Cambridge University Beginners' DanceSport Team - where there's no fixed limit on places and you'll only be competing against other beginners. Note that, for dancesport purposes, Anglia Ruskin students count as Cambridge students. If you're interested in competing but have other questions about eligibility etc then contact the CUDT Beginners' Captain at dancesport-beginners@cambridgedancers.org. If you're a student but not a beginner then you can still trial for the Cambridge University DanceSport Team - by far the most successful university team in the country last year! The main auditions are at the start of the Michaelmas term for places on several teams. For more information, please contact the CUDT Captain(s) at dancesport@cambridgedancers.org. The CDC also has members competing very successfully on the open circuit (in which non-students may compete). To learn about competitive opportunities for non-students, including out-of-term practice spaces or to seek a partner, please join the "CDC Competes on the Open Circuit" Facebook group. For more information contact our club Secretary at secretary@cambridgedancers.org. Another dance style featured in the inter-varsity competitions is rock and roll. This has evolved from its authentic social dancing roots to encompass continental-style high kicks as well as showy acrobatics. If this sounds and looks like your sort of thing then anyone is welcome to join and train with the Cambridge University Rock'n'Roll Team. For more information contact the CURnR Captains at rnr@cambridgedancers.org. The competitive teams have their own "stash" items but we are now able to offer CDC logo T-shirts again. The price is £8 each. The sizes range from adult small to extra-large (with most women being small or medium and most men being medium upwards). The new batch have red print on a black T-shirt and include some which are printed on the back instead for people who want to wear them while partner dancing; but we do also have a few other colour combinations left from the previous batch. See a committee member (ideally at St.Columba's) to purchase one. If you want to unsubscribe from our lists you *must* use the exact form of your email address which you originally used to subscribe to them, not some forwarded or modified version (eg gmail is not the same as googlemail and academic sub-department addresses are not the same as generic cam.ac.uk ones). Our system can only recognise automatically the information you gave it. If you no longer have access to your originally specified email address then you'll need to request a manual removal. See our links page for other dance groups (with their own classes and events), private teachers and suppliers of dance equipment etc. Ceroc is on Monday evenings at the University Sports & Social Club on Mill Lane and on Tuesday at Storey's Field Centre. The LindyHoppers have classes and social events on Tuesday and Wednesday evenings. CamTango run Argentine Tango classes and socials (though not currently their former Wednesday class in St.C's Gibson Hall). Cambridge Cuban Salsa is operating the Thursday Salsa Social Club and the Sunday Salsa Lounge. Wolfson college has cross-body salsa on Thursdays and Argentine Tango on Saturdays (7pm to 11pm). There is cross-body salsa on Mondays at St.Paul's and Fridays at the USC (with Kizomba on Wednesdays). There is English, Scottish, Irish and American folk/country dancing in town plus morris and molly dancing. The next Tea Dance at the Guildhall is Tuesday 21st May from 1pm to 4pm. 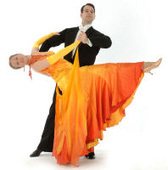 These events feature a mixture of standard ballroom and latin dances and sequence dancing. Tea Dances of a similar nature occur regularly in many villages around Cambridge (eg out at Prickwillow). More local dance events can be found via meetup. If you are intending to take your dancing more seriously at any point, then you may need to be fitted for specialist shoes. The best options are usually men's ballroom or ladies' latin shoes for DanceSport B+L (although you'll need heel protectors too for stiletto heels!) and jazz-ballet shoes for coping with *any* dance style, especially salsa or RnR (although light trainers / sneakers are the preferred choice of some salsa and RnR dancers). Our local supplier, Attitude Dancewear, has recently moved a little further out from the centre of Cambridge to Level 1, 182 Histon Road CB4 3JP (ie towards Arbury, near the Aldi shop). The advantages are better parking and more space to keep more stock in store. They offer a 10% discount to anyone presenting their CDC membership card.